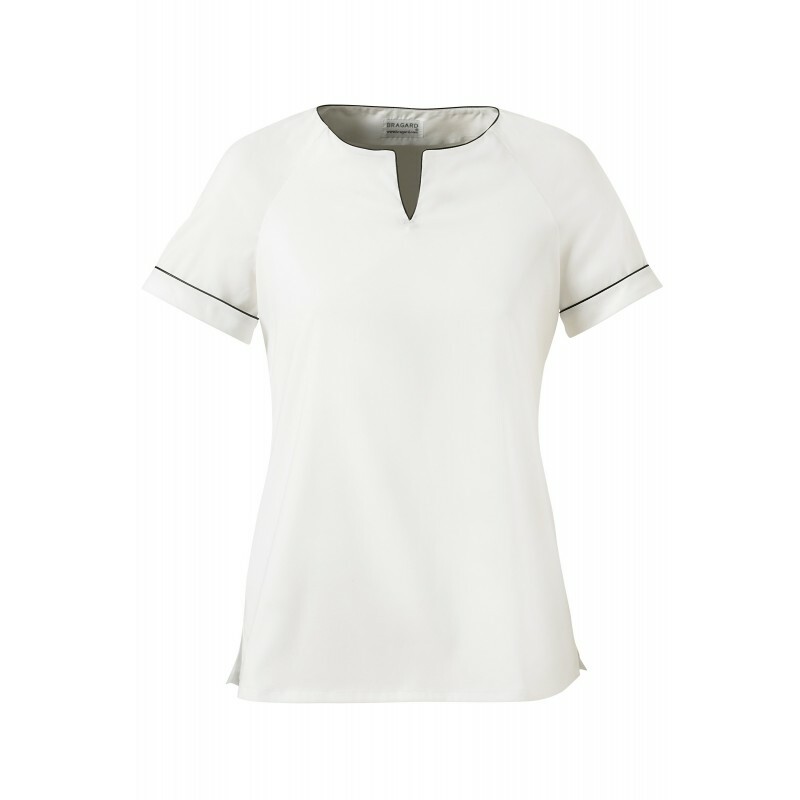 Ladies T-shirt. 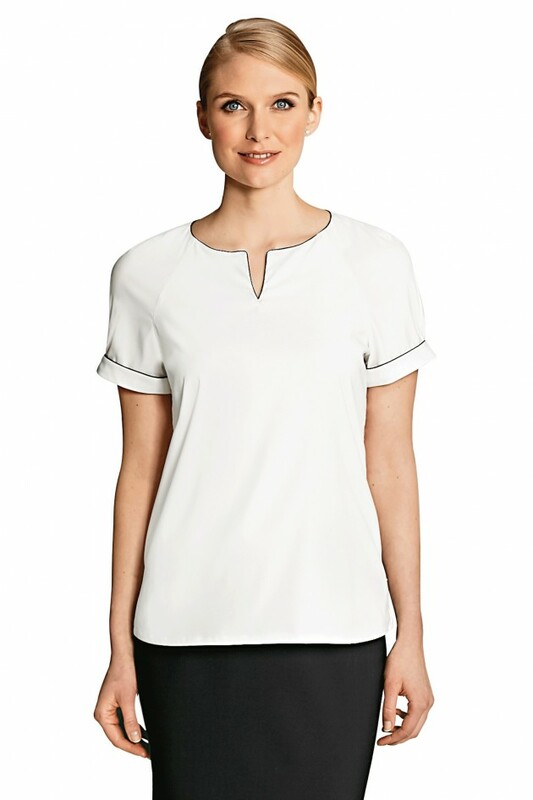 Round neck with black piping. Invisible zip fastener on left side. 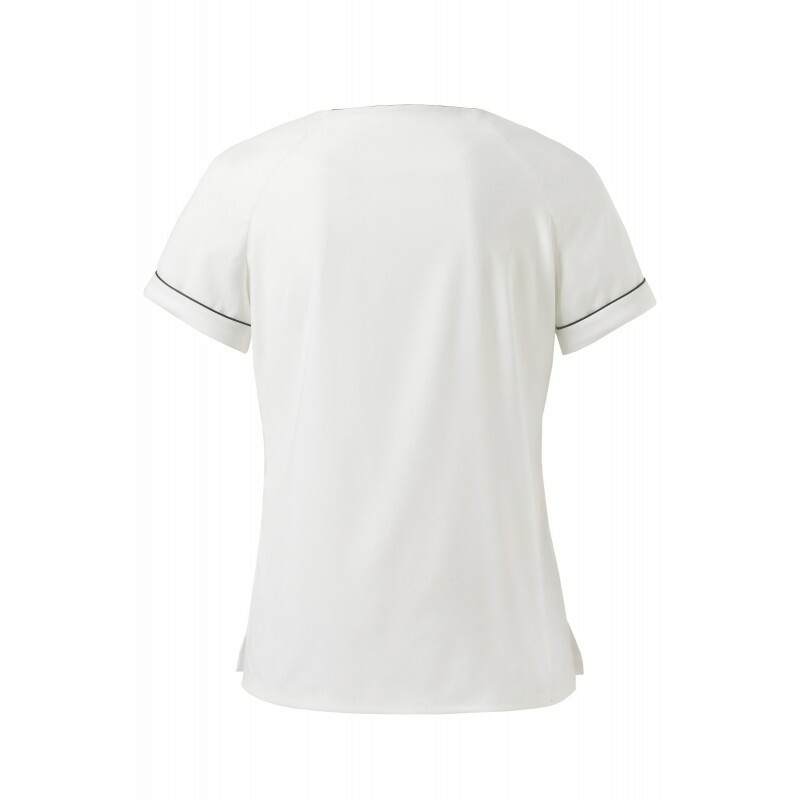 Raglan short sleeves trimmed with black piping.